I thought it meant i would at least get ten of each. Is this eligible for refund? I could have spent those 20000 tickets on keys and gotten way more tokens. Wow, that is kinda confusing/misleading how they wrote it. So, in other words, it's exactly what I expect from them. 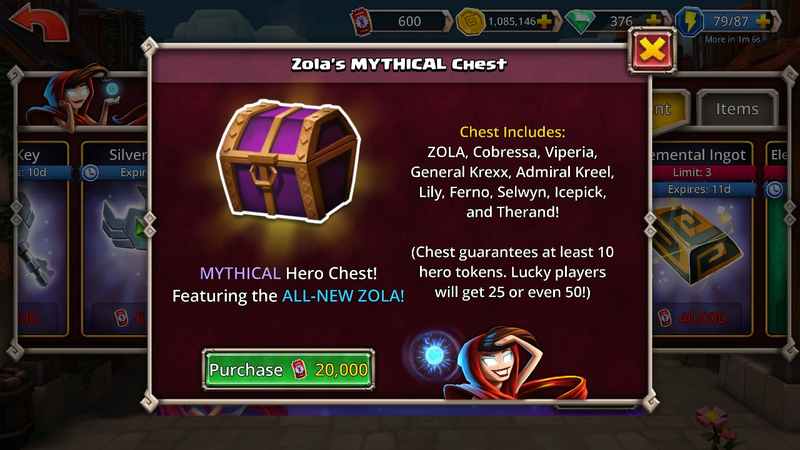 As I see it, if the chest includes all of them, at minimum, you should get one token for each hero for a total of ten. 90% of the time you will get 10 selwyn tokens.